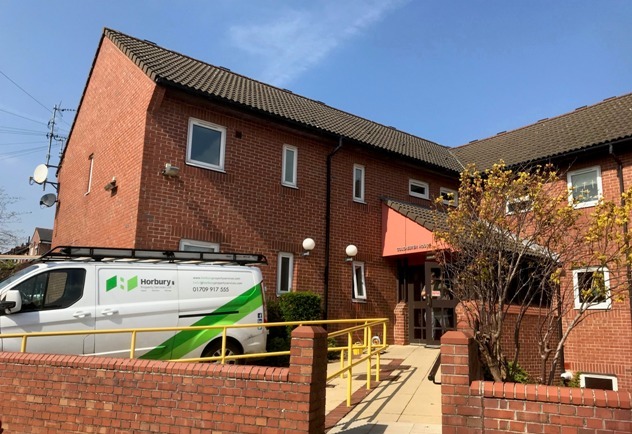 Richard Sutton, general manager at Horbury Property Services, said: “This is our second major contract with Arches Housing and we are very pleased to be working with them again to enhance fire safety in one of their sheltered housing schemes. As well as fire door and fire compartmentation services, Horbury Property Services provides a full range of works, which can form part of planned maintenance programmes. This includes ceiling and dry wall partitioning inspection, installation, repair and maintenance of fire doors, joinery works, fire stopping, sealing, fire compartmentation, fire alarm and emergency light testing, portable appliance testing, electrical testing and installation work, building fabric repairs as well as external cladding and render repairs.